Chennai: Gear up for the ensuing northeast monsoon season, Chennaiites! The high-power earth movers the state WRO (water resource organization) pressed into service on some city roads during the last few years may not be of great help even this rainy season. Wonder why? The city’s flood protection programme is incomplete and inundated in controversy. Unearthing the failure is none but the CAG (comptroller and auditor general of India) who has picked gaping holes in the much-popularized flood protection works in north and south Buckingham canals. From cost escalation and poor preliminary investigation to non-availability of funds and delay in land acquisition, the auditors have brought to light, a series of deviations that not only reveal the state WRO’s sloppy work but exposed how the city is vulnerable to floods during the monsoon season. 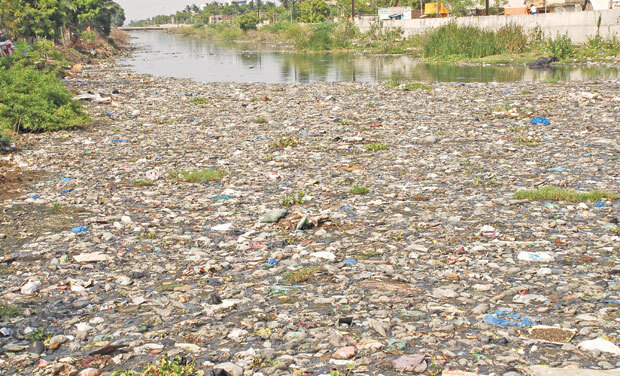 For instance, the CAG report tabled in the Assembly on the final day of the just concluded budget session, revealed that the Rs 63.05 crore (in 2010) work executed by WRO (water resource organization) to prevent inundation in north Chennai was more than doubled to Rs 122.50 crore (in 2013) owing to a change in foundation type. The original estimate for providing a new drainage channel to divert a portion of floods from the Kondungaiyur drain, Madhavaram Tank and Otteri Nullah was prepared without conducting soil investigations in violation of the PWD code. Soil test conducted before commencement of work necessitated a change in foundation type, resulting in cost escalation. Taking strong exception to non-completion of work even after a two-year lapse, the CAG observed that non-conduct of soil test before preparation of estimate, which led to change in design and consequent cost escalation, defeated the objective of flood alleviation in north Chennai. Likewise, the CAG concluded that flood mitigation in central Chennai remains unachieved owing to incomplete execution of the three-slice flood protection work undertaken at a cost of Rs 83.89 crore in the central Buckingham canal. Diversion of surplus water from Maduravoyal Tank to the Cooum river for mitigating heavy flooding in the Virugambakkam-Arumbakkam drains commenced every after over a year’s lapse owing to failure to hand over land encroached even by government structures. Work was awarded despite existence of TN slum clearance board structures, among other encroachments. Slice-II work comprising improvements to Virugambakkam and Arumbakkam drains at an estimated cost of Rs 33.22 crore achieved only 58% progress owing to delay in eviction of encroachments. Project execution was no better in the south Buckingham canal section either. Estimate of improvement of south ‘B’ canal from Okkiyam Madavu to Muttukadu backwaters had to be increased to Rs 104.40 crore after the WRO employed the methodology of using a chain of earthmovers instead of deploying a few, and conveying the excavated earth using tippers, which was found unsuitable. The proposed widening of the canal from 20 m to 100 m for a length of 13,000 meters was not completed for 5,490 meters due to non-availability of funds. Shortcut diversion of B canal from Okkiyam Maduvu to the sea proposed to divert apportion of floodwaters directly to the sea was dropped due to increase in land acquisition costing Rs 100 crore, resulting in discharge of 3,500 cusecs over and above the designed capacity of 9,000 cusecs in the south B canal from Okkiyam Maduvu to Muttukadu backwaters. It is bad news for Velachery residents, the regular victims of monsoon flooding. Improvement of the Veerangal Odai drainage course channel intended to mitigate flooding in their area and adjoining areas by constructing a flood protection wall for 8,140 meters for drainage floodwater of Veerangal Odai surplus was not completed to a length of 677 m and construction of a wall for 25 meters on both sides of the canal was not taken up owing to pending land acquisition.